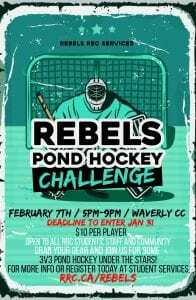 Sign Up for the Rebels Pond Hockey Challenge! Looking for some fun, physical activity and the chance to make new friends? This one night co-ed recreational event is a great way to meet new people, exercise, and have fun! Come out and play hockey under the stars! This 3v3 pond hockey style tournament is open to all RRC students, staff, alumni and community members. 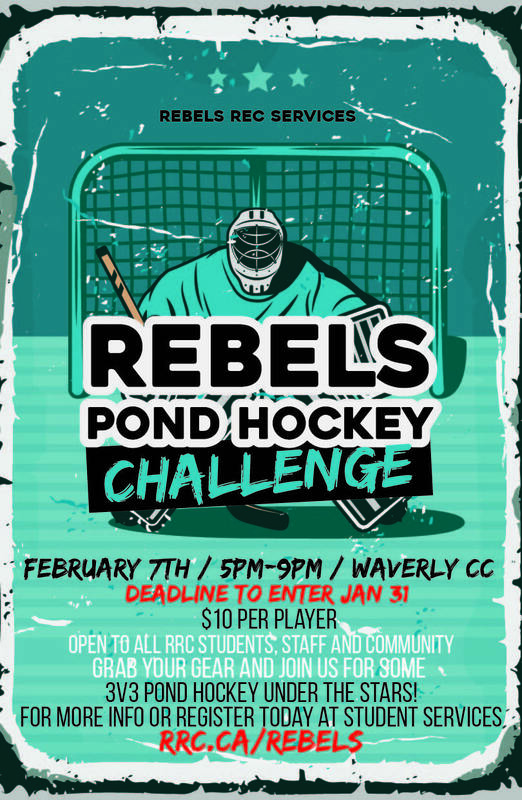 Red River College > Rebels United > News > Intramurals > Sign Up for the Rebels Pond Hockey Challenge!